Co-founding of The Institute for Basic Research, Cambridge, U.S.A. Santilli is a member of several scientific organizations, including the American Physical Society, the American Mathematical Society, and others. He is the recipient of a number of honors, including the Historical Medal of the City of Orleans, France, the Gold Medal of the Province of Campobasso, Italy, and others. Professor Ruggero Maria Santilli received his degree of "Dottore in Fisica" from the University of Naples, Italy. In 1966, at the Graduate School in Physics of the University of Turin, he obtained the highest Italian degree, corresponding to the U.S. Ph.D. in Physics. He also held the chair of Professor of Nuclear Physics at the famous A. Avogadro Institute in Turin, Italy. 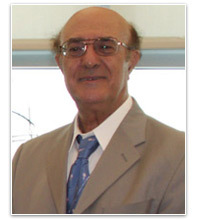 In 1967 Santilli was invited by the University of Miami, Florida, to conduct research with NASA financial support. In 1968 he joined Boston University as Associate Professor of Physics, where he taught Physics and conducted research for the U.S. Air Force, the latter of which led to his assuming the U.S. Citizenship. In 1976 and 1977 Santilli was a visiting scholar at the Institute for Theoretical Physics of the Massachusetts Institute of Technology. In 1983 he assumed the position of President and Professor of Theoretical Physics of the newly formed Institute for Basic Research, then located on Harvard Grounds, as well as Principal Investigator of several DOE contracts. From 1998 to 2001 Santili occupied the post of Doctor of research of corporations in the U.S.A., Europe and Asia. Recently he retired while remaining affiliated with various academic and corporate research institutions in the U.S.A., Ukraine, Russia, China, Italy, and Austria. Santilli is the founder and Editor-in-Chief of three journals: Hadronic Journal, Hadronic Journal Supplement and Algebras, Groups and Geometries. He is also Editor to several journals in Physics and Mathematics, and a reviewer/advisor to many other journals.